Join a team to support progressive women of color running for office. 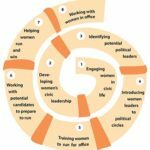 Organizations and individuals work directly with women candidates and their teams to make sure they have the resources and expertise to run the best possible campaigns. Carin Schiewe provides coaching and organizing support to progressive candidates and campaign teams in developing and implementing decision-making, management, and internal communication systems. She works with campaigns to strengthen fundraising and organizing capacity and provides training and field support on voter outreach and GOTV efforts. CPPA endorses candidates and develops field structure in the Chinese community to help progressives win office. Mass Alliance makes endorsements of progressive candidates in state legislative races and some local races. Women who win the Mass Alliance endorsement can access extensive expert help in crafting messages, building campaign structures, and plans, and be conducting grassroots field operations. Mass Alliance also coaches women and their teams in public speaking, voter outreach, and fundraising. MWPC PAC endorses pro-choice women running for legislative and some municipal races. Endorsed candidates can get direct financial assistance as well as help in strengthening their fundraising and field campaigns. Neighbor to Neighbor MA Action Fund endorses progressive candidates and supports them at every step of the way: from executing their field plan and fundraising program to knocking that final door on Election Day. ¿Oiste? The Latino Political Organization endorses candidates, with a focus on Latina/os and creates and distributes promotional materials on behalf of our endorsed candidates. Suzanne Lee provides coaching and support to help progressive candidates in the Greater Boston area to win. Give or get support for progressive women of color holding elected office. 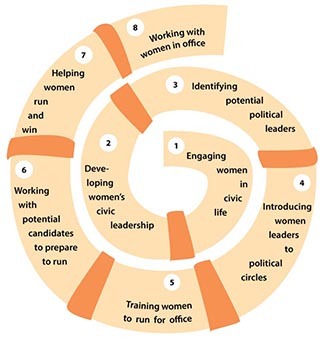 Organizations and individuals work with women once they win office to help them formulate and promote progressive policy, collaborate with their colleagues, communicate to their constituents, advance their own leadership, and prepare for higher office. CPPA supports elected women through working on advocacy campaigns where we share common policy goals. Mass Alliance works actively with progressive legislators to help them strategize together and collaborate around progressive policy priorities. MWPC has launched a Legislative Training Program that helps incumbent women legislators with an MWPC endorsement build strength, skills, and resources between elections. ¿Oiste? supports elected women through working on advocacy campaigns where we share common policy goals.